Science shows us how cannabis can play a huge role in spinal cord injuries. Imagine for one moment your whole world was turned upside down. You no longer could feel your legs, or even your arms. In fact, you needed mechanical ventilation just to breathe. Losing your independence, you had to depend on others for your daily needs. Spinal cord injuries are one of the most devastating types of injuries someone can experience. While relatively uncommon, spinal cord injuries cause temporary or permanent loss of strength, sensation, and function below the site of injury. It’s estimated there are over 300,000 people living with SCI in the United States alone. Each year there are over 12,000 cases reported. Males have the highest rate of injury at over 80%. However, research suggests that cannabis can provide relief. 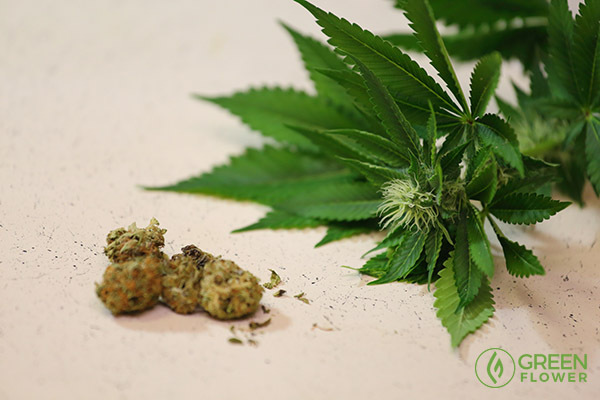 In fact, cannabis not only alleviates side effects from a spinal cord injury, it also can help the body repair itself. Why are Spinal Cord Injuries so Traumatic? A spinal cord injury can impact every part of your life. A broken arm or fractured leg is no-doubt painful. Not to mention inconvenient. However, a blow to the spinal cord is life-threatening. The spinal cord is an important part of the central nervous system. It controls and coordinates activities within the body. The primary job of the spinal cord is to communicate messages (neurons) between the brain and body. This, in turn, allows us to move and feel sensations. When a break or fracture occurs, this ability is compromised. Depending on the severity of the trauma, a spinal cord injury can be complete or incomplete. 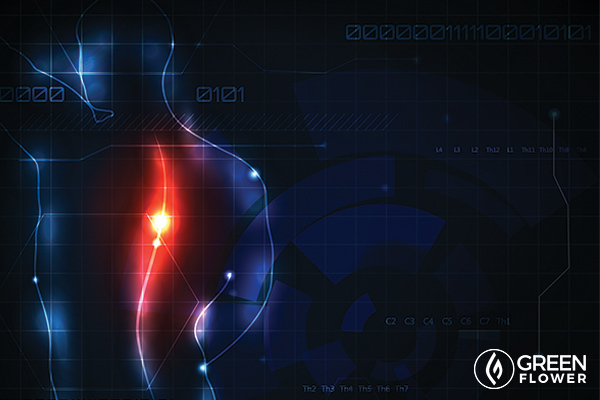 With a complete SCI, the spinal cord cannot send signals below the level of injury. As a result, paralysis occurs. The height of the injury also influences the severity. The higher up the vertebrae the injury occurs, the worse the damage. For example, a blow to the neck (in the cervical region) may result in quadriplegia. Trauma in the middle of the back (in the thoracic region) may result in paraplegia. Not only do spinal cord injuries impact motor sensory and function, but they can also lead to debilitating side effects. 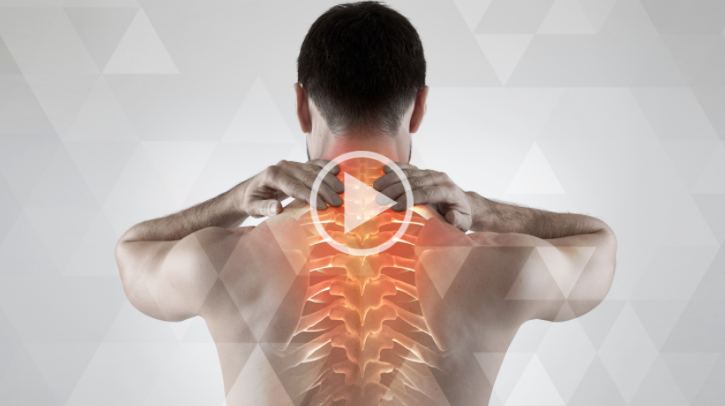 Muscle spasms, intense pain, and sleeping problems are just a few of the most common issues spinal cord patients face on a daily basis. Did you know that the majority of people with a spinal cord injury deal with chronic pain? Pain is a serious issue plaguing those with SCIs. Individuals with a spinal cord injury can experience chronic pain for months and even years to come after their initial injury. Pain can occur in areas where there is sensation as well as those without. This can lead to a negative impact on quality of life. Those in severe pain may even be unable to carry out daily activities. 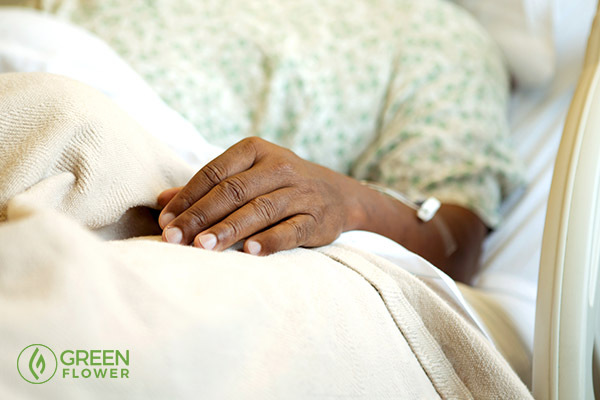 Cannabis is a well-known treatment for chronic pain. 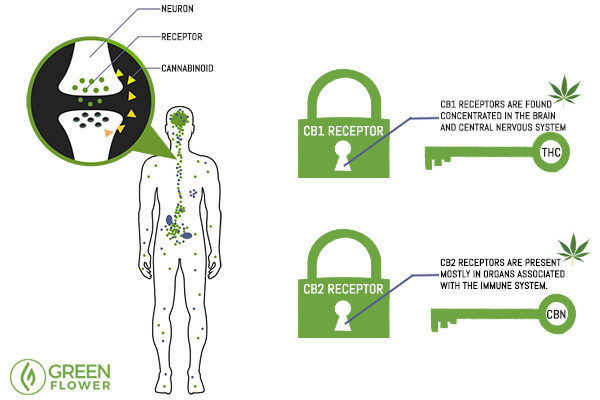 Researchers have now discovered that cannabinoids activate specific receptors located throughout the body, particularly those within the central nervous system. Cannabis is an effective pain reliever because it regulates pain perception – even for those with spinal cord injuries. 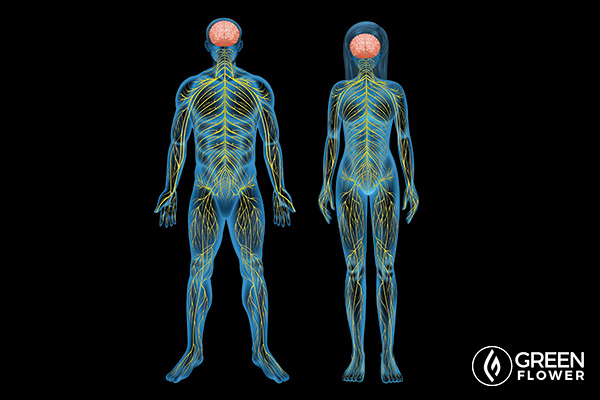 The endocannabinoid system helps balance pretty much every process in your body. The cannabis plant offers far more than pain relief for spinal cord patients. Spasticity control is also why cannabis is so helpful with illnesses like Parkinson's disease. Spasticity is a common side effect of paralysis. Cannabis has a long and documented history of decreasing muscle spasticity. Although the number of case reports in the subsequent years dwindled (due to prohibition), there has been an increasing number of studies over the last several years. Your body needs to sleep to properly heal. Once again cannabis can help with that. Did you know that most spinal cord injury survivors also suffer from sleep-related disorders? Otherwise known as sleep apnea. In fact, one study revealed that 77% of individuals with a spinal cord injury had symptomatic sleep-disordered breathing and 92% had poor sleep quality. In addition, insufficient sleep also weakens the body’s immunity. This is a huge risk for SCI patients who are already dealing with a compromised immune system. Studies have shown that cannabis can improve the quality and duration of sleep. One of the major cannabinoids, THC is shown to reduce the amount of time it takes to fall asleep. Perhaps even more intriguing, another study showed that cannabis when administered acutely could also increase the duration of stage 4 sleep. Stage 4 is the deepest sleep stage. It is often referred to as REM sleep. This period is crucial because it is the restorative part of the sleep cycle. While very little is known when it comes to the exact impact on cannabis and a spinal cord injury patient’s sleep cycle – we do know cannabis can help with several sleep-related disorders. Why not spinal cord injuries? At the very least, why oppose more research? The potential for a positive impact is beyond evident. Lifting the restrictions on cannabis research and access for patients is key to achieving even greater progress with this plant. Loss of motor function is a hallmark characteristic of a spinal cord injury. Trauma to the spine often results in a loss of function. While damage to the spinal cord injury is typically permanent, a study revealed that a compound in the cannabis plant improved mobility in rats with spinal cord injuries. Investigators at the University of Sao Paul in Brazil examined the impact of CBD on motor function. During the study, the animals received injections of both a placebo and CBD. These injections were done 3 hours after surgery and daily for six days after surgery. “Cannabidiol improved locomotor functional recovery and reduced injury extent, suggesting that it could be useful in the treatment of spinal cord lesions." The study has yet to be replicated on humans. Nevertheless, the research suggests cannabis could have a profound impact on motor sensory and functioning in spinal cord injury patients. Particularly, if ingested shortly after the injury takes place. However, our knowledge in this space is limited. Because cannabis remains a schedule 1 drug, it is extraordinarily difficult to perform research. Let alone find sufficient funding. Meanwhile, hundreds and thousands of individuals suffering from spinal cord injuries are left with limited options. Imagine if we were to fully research this plant’s impact on spinal cord injuries? So far we know that not only can it alleviate side-effects from injury but restore functioning as well. For spinal cord injury patients, this difference can mean life or death. Why would we risk another life lost or severely diminished quality of life if cannabis could help? Does Using Cannabis Lower Your IQ?